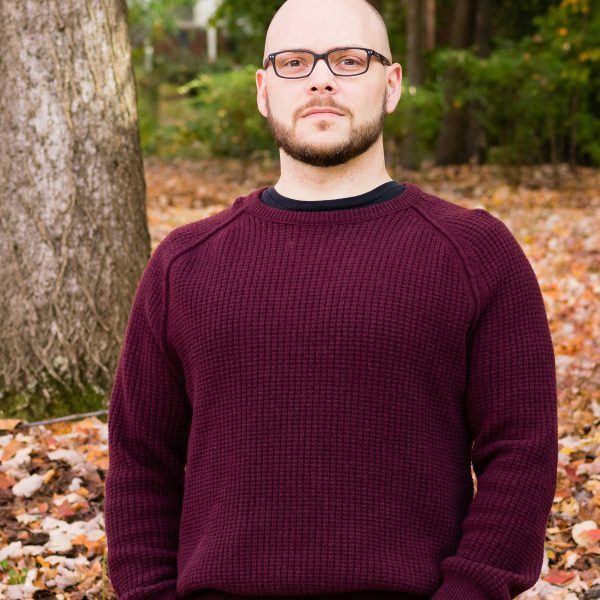 Brown Biggers, Library Journal’s 2016 Paralibrarian of the Year. It’s clear that dramatic shifts in political opinion and public sentiments are happening in our country. How people view libraries, higher education and knowledge is also changing. Yet, what heartens me is how library professionals are rising to meet these challenges and how they are redefining library programs and resources to carry out their missions in a shifting national landscape. 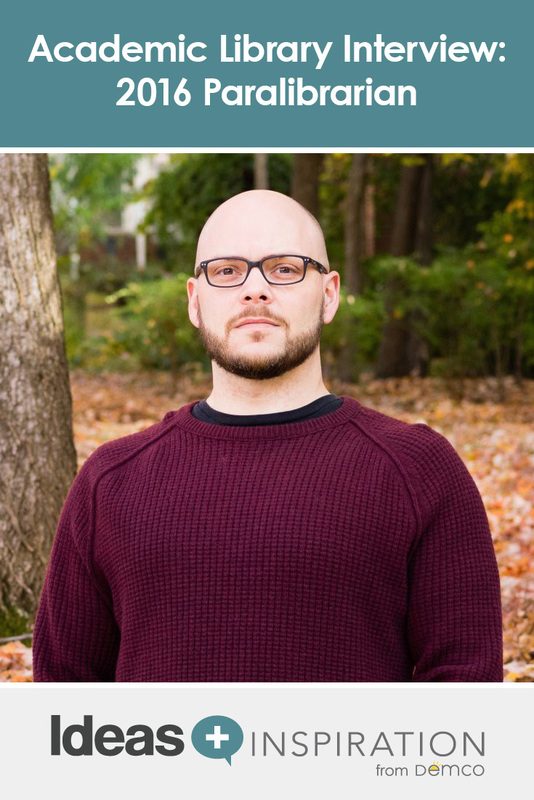 One of the front-line library professionals redefining what libraries can be is Brown Biggers, Library Journal’s 2016 Paralibrarian of the Year. 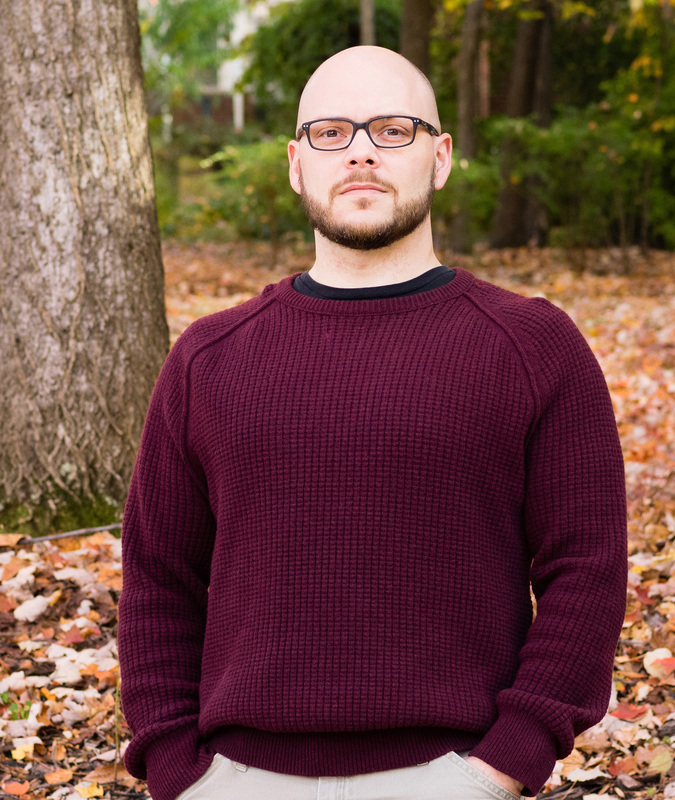 Brown is a Systems Programmer – Analyst at University of North Carolina, Greensboro (UNCG), and is part of the UNCG Libraries’ IT Department. I recently had the opportunity to talk with Brown, and what emerged from our conversation was the ongoing importance of the academic library and libraries in general. He also revealed exciting new possibilities for students, faculty and communities at large. Here are the highlights from our impassioned conversation. Why did you want to work in an academic library? Well, working in a library was the farthest thing from my mind. But it’s interesting to me that, as I’ve worked for UNCG libraries, I cannot imagine a time when libraries were more important than they are right now. This may seem ironic considering everyone’s emphasis on what is available online, but it is amazing what people are doing in libraries nowadays and how important they are! I have also come to realize that there is nothing more important or lasting than knowledge. If you are involved with the duration, development, translation, presentation and storage of knowledge, then you will never be without a job. I feel the exact same way you do! Librarians and paralibrarians are incredible and are doing wonderful things, yet there is this sentiment that libraries are a thing of the past. What do you think about that? I couldn’t disagree more with the idea that libraries are a thing of the past. I feel that with the prevalence of information and all that you can easily access, there has never been a more important time to have critical thinking skills and information literacy. Libraries are not just in the center of that; they are in the front of that. I certainly don’t want to disparage the accessibility to information on the Internet. That is fantastic, but it comes with a necessity for responsible consumption. Students nowadays — and I’m one too as I’m working on my master’s degree — want to get to the end of the project as quickly as possible, so they may choose to use the easiest resources, cite them and move on with their life. They may not recognize what it means to get to information so quickly? Is the thing that you get to first actually the best? I’ve been very privileged to sit in on some of the classes that they teach in the library, many times by virtue of the fact that I am fixing one of the computers. The librarians that are here teaching these classes are talking about information literacy: what information is and why it is important to look at it with a critical eye. Again, there’s never been a time that is more important for that. Regardless of your political stance, this is a very contentious period in our history. It’s important for people to look at their information, understand what is going on and take into consideration people who don’t share their points of view. There’s never been a time where it is more important to look across at someone you don’t agree with and figure out a way that the two of you can work together and identify where your commonality lies. That is going to come from a collective wisdom, a collective embracing of how to look at information and process things. I hope that libraries can be a part of that. It seems like a natural fit to me. Some experts say that students are not coming to college with the skills to dig a little deeper and parse out what is true and factual. What is your perspective? Showing people how to program simple circuits with an Arduino, a readily available kit. I’ll give a little bit of context: I’m a tech support person. I help fix computers and I am responsible for library servers and things like that, so my involvement with students happens on that level. A lot of times I am interacting with somebody because something is not working and they need something done RIGHT NOW. That’s library faculty, library staff and students. So I’m seeing people at this crossroads, at this point of desperation. I say all of that to provide context to the statement that I see people finding themselves in a situation where they HAVE TO do something right this second, whether they’re writing a paper and it’s due in 4 hours or they have to print something and it has to be right here, right now. That desperation sometimes overrides the need to get it right. Sometimes you end up with that impetus to get something done. Personally I have a broad background in design, mathematics and computers. I’ve worked in IT and various industries. This emphasis on STEM, science and technology, engineering and mathematics—I’m all for it. I love building things, I love putting things together and I love looking at things from a mathematical eye, but I really do think that liberal arts analysis and critical thinking are deemphasized. We want people to do math, build machines, be able to put things together and get their jobs done, but at the end of the day, we want people to have the intellect and the wisdom to not only communicate this stuff correctly, but also to base their decisions on sound, verifiable research. Let’s embrace the idea of research, the idea of developing intellect, digesting and processing information, picking and choosing from it based upon its validity and not how it fits with your own theories. Even though you say your job is to fix computers, repair servers and maintain them, I can tell that you’re a bridge builder—someone who brings together students and faculty, a liaison with multiple disciplines. Your involvement obviously goes beyond what your title indicates. 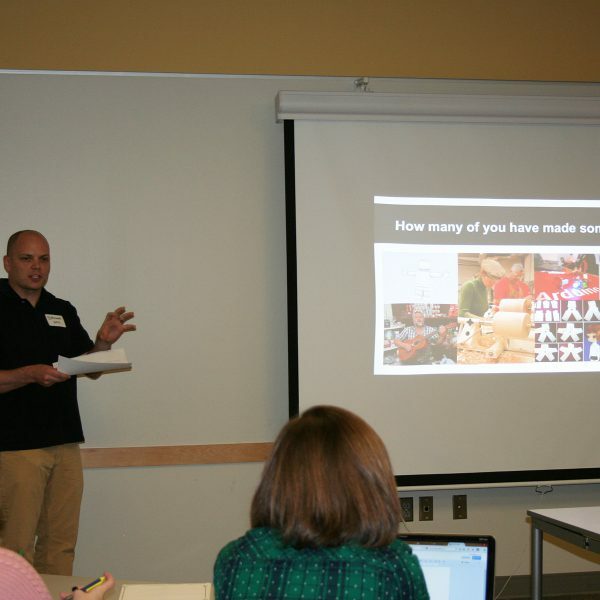 Employing his love of teaching, Brown partnered with the UNC Greensboro Library and Information Studies department and traveled across North Carolina giving presentations to libraries about makerspace resources and how to use them. I love teaching. I love being with someone when they are at the point of discovery. I love it when you see somebody get something. Yes, that’s wonderful, great and world-building, but I am not doing it solely for altruism. It’s great to be helpful and it is great to teach, but there is no better way to learn something than to work with somebody through their comprehension of it. I’ve been doing a lot more teaching recently and I have been working with a number of the librarians to develop webinars about cloud-based productivity software and coding. The only thing I love more than teaching is teaching somebody something, and then they learn something and then they bring me something new because we have an invested connection. It’s almost like our brain power gets shared. Do you feel like there is something within your work environment or the fact that you are at the University of North Carolina that makes sharing and learning more conducive? You can’t work in a university and say, “I want to learn this new thing” and they say, “Oh, no, no. That’s not what we do here.” That would be contrary to their mission. When you work at a college and an academic library, it’s not just about the resources that they have. It’s not just about the books — and the books are great and I think that we should still have collections — but it’s about the knowledge contained within the community. There are people literally across the street from me right this second who are world-renowned resources on chemistry or biology or computer science and things like that. The fact that those entities are within mere yards of me is AMAZING. But it’s not just academic pursuits. There are people here who are world-renowned collectors or world-renowned dancers. This environment exists because of the community. Being part of an academic environment nurtures this, but it also exists in the public space. You may have some guy just walking through, but “Oh, yeah, he discovered the way these two atoms work together, and he got a Nobel prize for it. Now he’s retired and makes smoothies at the store down the street.” That exists and that community is here. This is one of the brilliant things about makerpaces. It’s about taking your community and bringing people’s passions and knowledge together. 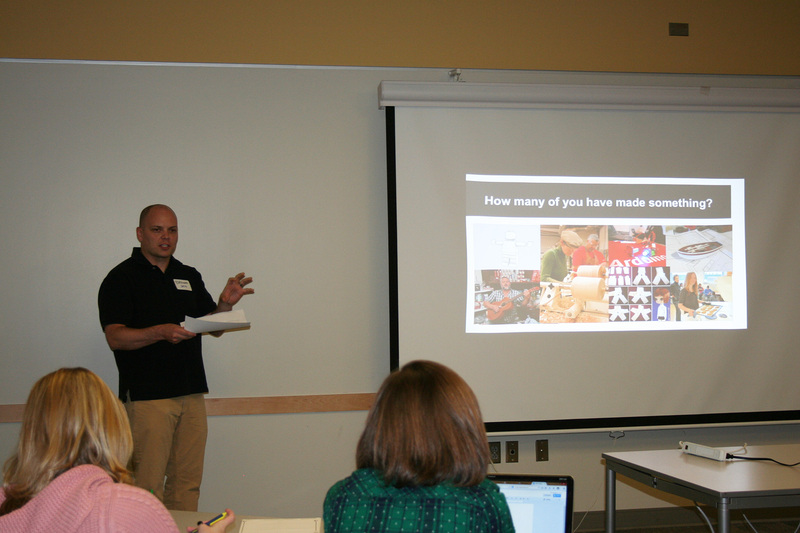 You helped establish an academic makerspace at UNCG. What has that meant for the library and students? Brown Biggers with colleague, Michelle Folkman, at the AcadeMAKE conference in February 2015. The event allowed librarians to come together and play with maker technologies. The university as a whole has really embraced the idea of making. Our library has a very vibrant digital media commons, a space devoted to help patrons and students with the development of digital media, be it illustrations, video or audio production. It also has 3-D printing, and we help people understand those resources and those technologies. 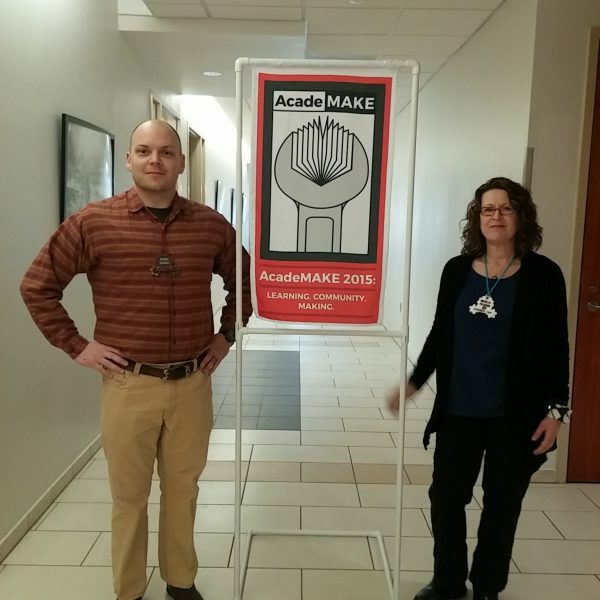 I worked with Elisabeth Filar Williams (now head of the Library Experience and Access Department at Oregon State University libraries) and Michelle Folkman to write a grant for our academic makerspace. 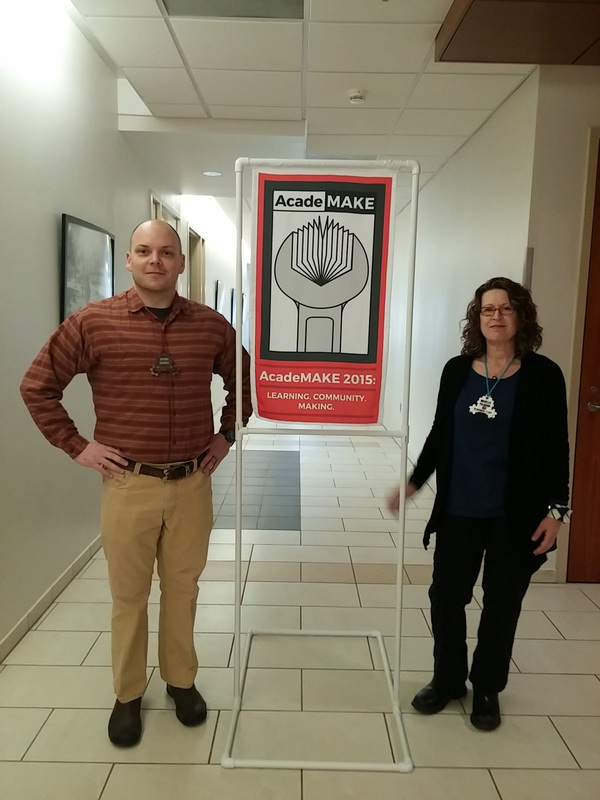 Elisabeth and Michelle have also written articles on the subject of academic makerspaces. It has really been about helping people understand that these resources are not so far out of their comprehension. One of the most exciting things I’ve done is a presentation with Michelle showing free and low-cost makerspace resources available and how you can use them with many different pursuits: be it mathematics, music, visual art and communications, there are many approaches and pathways to making. 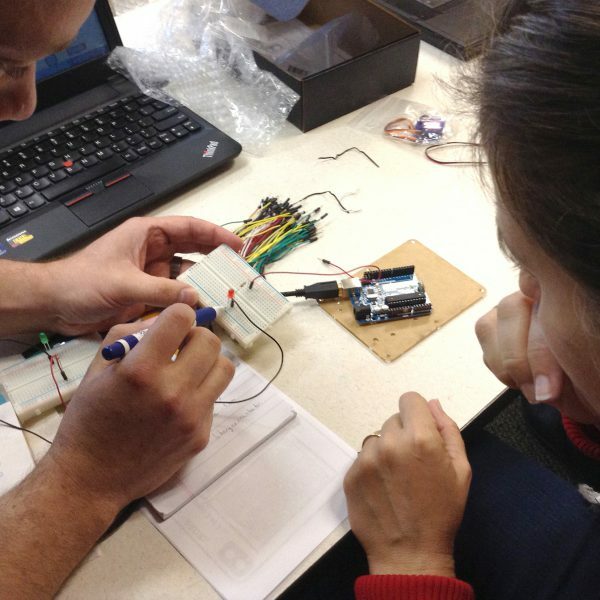 Multiple types of intelligence are supported with makerspaces. The fact that a makerspace can exist is amazing. It’s so exciting that libraries are doing this stuff now. What do you see as the biggest barriers for academic makerspaces? One of the biggest impediments to embracing makerspaces is that a lot of times people assume, “Well, we can’t have a makerspace unless we can spend $2,000–3,000 on a 3-D printer, so we better stop.” However, within the consumer market it is getting easier and easier to get access to a device like that. Yet, it may still be outside of the grasp of some people who have very limited funds, and there are some communities of course that do not have the resources to support something like that. I think it is still important for people to look at those situations and say that they can still do the makerspace thing. There is a necessity to understand that it can’t be exclusively for people who can afford it. The other thing that always seems to be difficult is that you have someone who is passionate, and people who are very interested in supporting that passion. 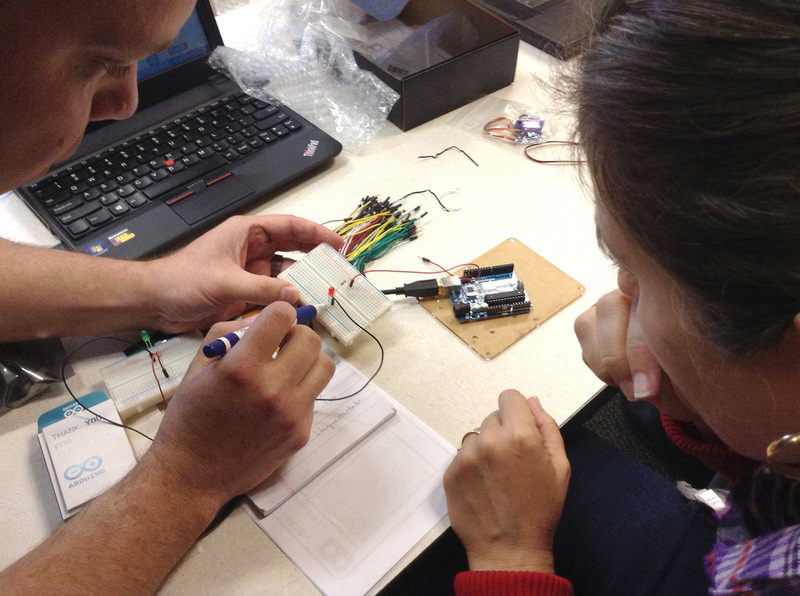 There is an interest in the makerspace, but it comes with an expectation for results. Sometimes things fall short of expectations. However, there is accountability and the administration has criteria to meet. There is going to have to be a point where we look at the development of curiosity, the development of the natural desire to pursue intellect and wisdom, as the product — the outcome. I feel that is where makerspaces can really help because they are providing a platform for experiential learning, so there are these wonderful things that can be accomplished. The people who are successful in implementing makerspaces are going to have to figure out how to take their passions and apply them because, let’s be honest, when you’re working in academia or education, you’re not doing it for money. So the trick is to align your passion to a measurable goal the administrator wishes to demonstrate to those they are accountable to. I’m fascinated to see how your role and the things you’ve done have had an effect on students and faculty. How do you define paralibrarian? Well, people hear paralibrarian and assume I’m jumping out of planes. Especially here, one of the things that is really exceptional about our environment is that we have some nationally recognized librarians, and we interact with them in such a way that we are given a lot of latitude. My department head, Tim Bucknall, is very encouraging of his subordinates and the development of further ways to improve the library. I think it’s a possible perception that librarians are the face and the paralibrarians — the staff members — are the ones who are filing the paperwork in the back. While that may or may not be the case outside of here, it is definitely not the case here. Whether it’s the library support of makerspace technologies, the development of the makerspace within the library, participation in makerspaces throughout campus or even programming that revives 1920s cooking, here paralibrarians play an active part. Here, the relationship between paralibrarians and librarians is very close. Certainly there are going to be other responsibilities that the librarians are going to have. They have a much deeper teaching schedule. We interact on a plane that is just fantastic and mutually respectful. We are given freedom and latitude to do some very fascinating things. I’m a very enthusiastic person and there is a perfect nurturing ground here. When you work around up-and-coming librarians like Elisabeth Filar Williams, you basically have two choices. You can either do your best to keep up with them or be left behind. I’ve been very fortunate to have this confluence of lucky events, strong leaders and dynamic individuals to work with. That’s been the key to my success. To read more about Brown, check out his Library Journal interview.